When starting a course of laser hair removal it’s important to understand how the hair growth cycle affects the results. There are 3 stages of hair growth the Anagen (growth phase) Catagen (resting phase) and telogen (the shedding phase). 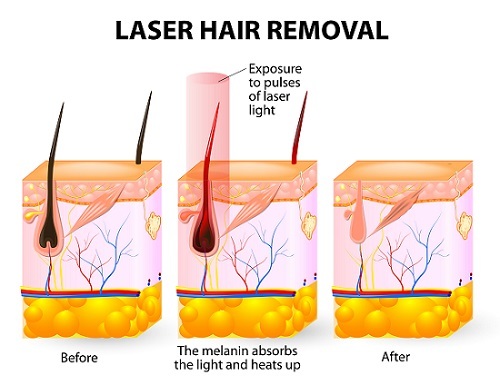 Only hair in the growth stage, the anagen stage can effectively be treated when having Laser hair removal.